What’s not to love about bruschetta? Bread + fresh ingredients? Sign me up. There’s something that I’ve always loved about a crispy, rustic piece of bread loaded up with tomatoes, garlic and basil. I’m clearly stating the obvious here, I’m pretty sure it’s one of those appetizers that everybody loves. In any case, things like bruschetta haven’t been around our house all that much the last few years. Since I’ve had to cut all gluten out of my diet, a clean bread that’s easy to make has been hard to come by. 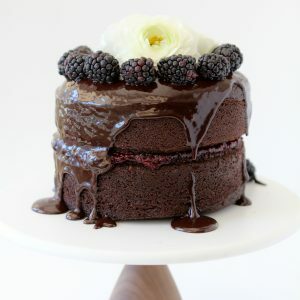 I know there’s a lot of recipes out there but they all seem to take forever and are overly complicated for day to day basis. I have to say, I gave up on making my own and in turn things like bruschetta don’t show up all that often. 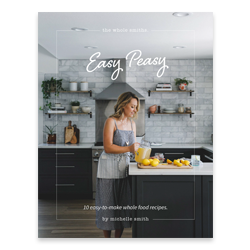 As you may know, I’ve recently started working with Simple Mills and lucky for us, they make the most amazing grain-free baking mixes I’ve ever had. In fact, their mixes rival any recipe that you’ll find online. Not only are their mixes delicious but amazingly easy and versatile. Case in point, my husband and kids used this same Artisan Bread Mix to make me french toast this year for Mother’s Day breakfast! And it was amazing. So when I had the chance to create a bruschetta using their Artisan Bread Mix, you can understand my excitement. 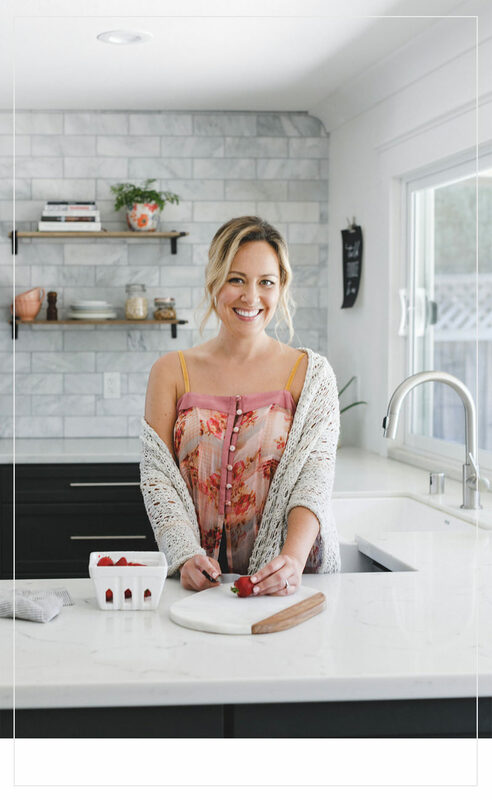 I wanted to take those same fresh bruschetta flavors that we’ve come to know and love but add a twist. 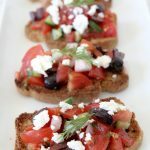 We all know a traditional bruschetta is Italian in origin so why don’t we just mix things up just a tad and create a Greek inspired variety instead? By tweaking just a few ingredients this bruschetta has a new flavor profile. Out with the basil, in with the dill. Out with the garlic, in with the red onion. You get it. 😉 I also added a bit of cucumber to freshen it up even more. Just make sure that you chop the cucumber up small enough as not to overwhelm the bites. I also like deseeding the cucumber prior, simply slice the cucumber lengthwise and use a spoon to scoop out / scrape the seeds. From there, I slice it lengthwise a few more times and then chop. That method ensures a small enough chop so you’re still tasting mostly tomato. To make the bread into a crostini I simply used a loaf pan to bake the bread and let it cool. Once cooled, I sliced the loaf up and placed the slices onto a baking sheet and broiled the slices for a couple of minutes. Make sure to watch those crostinis like a hawk though because they can burn quickly if left unsupervised! Finally, you also have the option for organic cheese or no cheese. 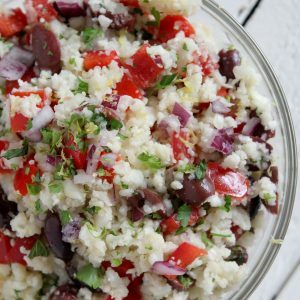 I love a little dusting of salty, briny feta on top but it’s by no means a necessary component of this recipe. 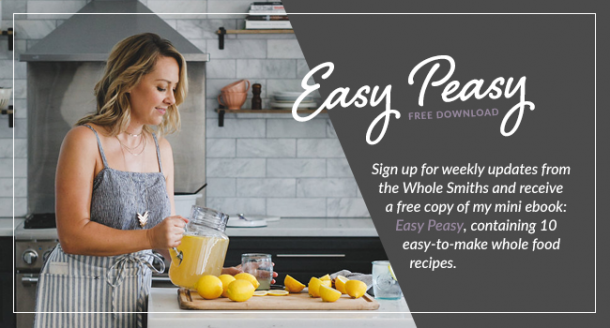 I hope you love this recipe as much as I do and make sure to check out Simple Mills, I cannot sing their praises enough! 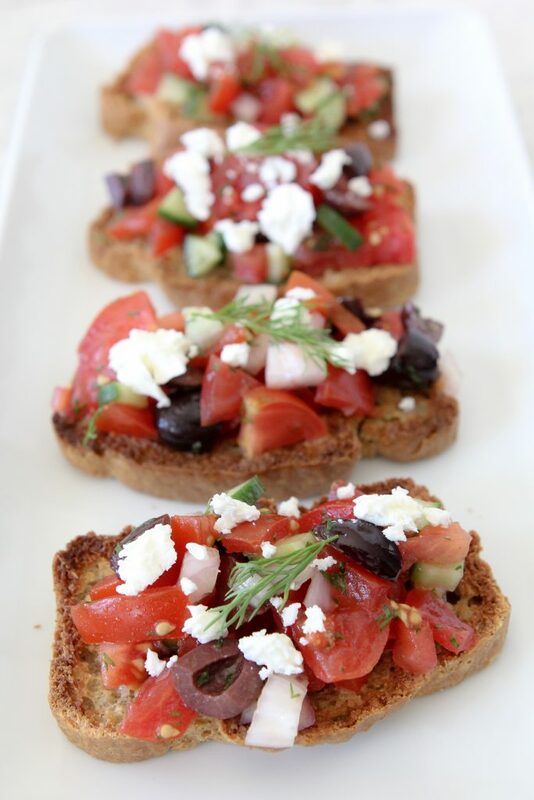 Grain-Free Greek Bruschetta from the Whole Smiths. A fresh twist on the classic using Simple Mills Artisan Bread Mix. 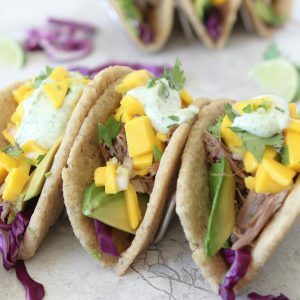 Gluten and grain-free, paleo-friendly.